El objetivo general de la Pastoral Juvenil Hispana es promover la comunión y participación de grupos y movimientos juveniles y, en colaboración con los jóvenes adultos de las diferentes parroquias, desarrollar un liderazgo y compromiso con Jesus y su Iglesia. La Pastoral Juvenil acompaña al joven durante su crecimiento como ser humano y su desarrollo cristiano. Toda actividad de la pastoral juvenil está dirigida a la conversión (participación en el misterio pascual de Cristo), lo cual representa un reto para el joven a vivir la plenitud de la vida Cristiana. Esta conversión será posible a través de un proceso que, paso a paso ira presentando al joven retos cada vez mayores, que promuevan en él una profunda experiencia sacramental y de oración, que lo llevará hacia una vida eclesial y social comprometida al servicio de Cristo y su Iglesia. o contáctenos por vía telefónica al (214) 379-3170 ó (214) 379-3172. 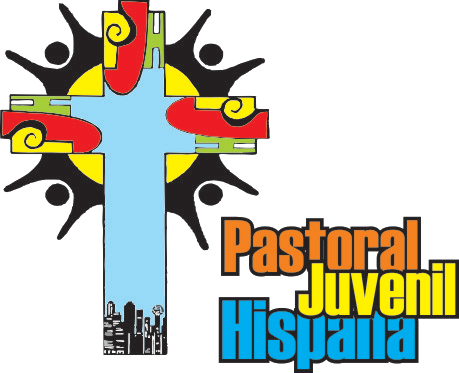 The Pastoral Juvenil Hispana, aims to achieve a human-Christian growth in the Hispanic young adults of the Diocese of Dallas. The Pastoral Juvenil Hispana offers the following to the young adults in the diocese: attendance at the parish young adult ministry groups, weekend vocation retreats, spiritual retreats, biblical courses and following in biblical and vocational circles, so that the young adults will be able to proclaim a living faith, through activities that promote youth integration and coexistence. The overall objective of the Pastoral Juvenil Hispana is to promote communion and participation of young adult ministry groups and movements and, in collaboration with the young adults from the various parishes, develop their leadership and commitment with Jesus and His Church. The Pastoral Juvenil accompanies the young adults during their growth as a human being and in their Christian development. Every activity of the Pastoral Juvenil is directed toward the conversion (participation in the Paschal Mystery of Christ), which represents a challenge for the young adults to live the fullness of the Christian life. This conversion will be possible through a process that, step by step will present the young adults with growing challenges that will promote in them a deep sacramental and prayer experience that will take them to an ecclesial and social life, committed to the service of Christ and His Church. or contact us by telephone at (214) 379-3170 or (214) 379-3172.